Last week, on 15th Sept, I participated in the Tantu seminar. 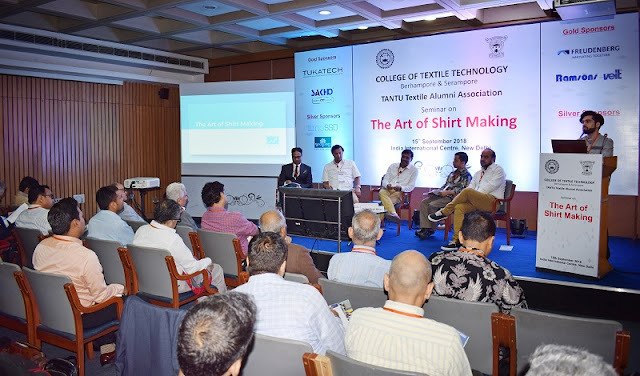 The seminar theme was The Art of Shirt Making. The theme was simple - it was about shirt manufacturing techniques, various ways of making shirt components, advantages and disadvantages of certain processes and garment parts. But the discussion points were in-depth. 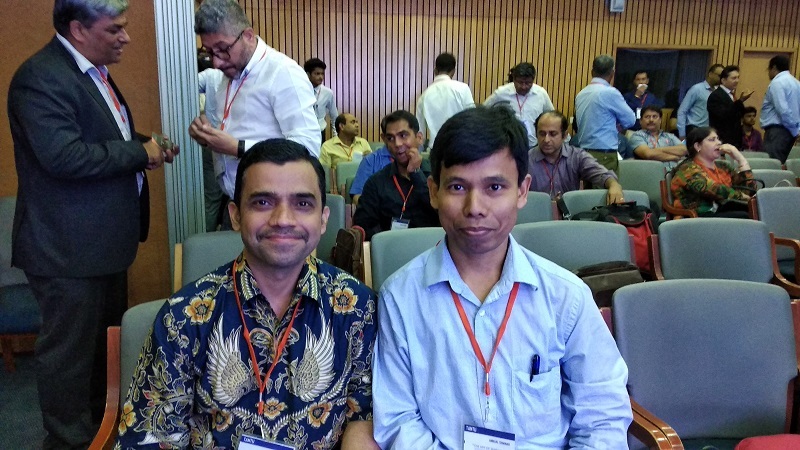 I enjoyed the seminar program, liked the food and was happy to see old friends and seniors. In this post, I will share some of my learnings and discussion topics covered in the seminar. Hope you will find this an interesting post. The panel moderator Dr. Prabir Jana, prepared some very good questions for panelists which are listed below. The panel members shared their answers with different views to some questions and some questions they had similar views. From the audience, also we got answers to some questions. I have listed the questions but would not share the answer from the panel members. I would like to know your answer first. I am sure, you know the answer to some questions. You can add your answer in the comment box. What are the objectives of adding back pleats in a shirt? What are the comparative advantages/disadvantages of different types of back pleats (two types)? Is there any third type of pleat? We all know there are pleats in sleeve cuff join. What are the comparative advantages/disadvantages of adding single pleat and two pleats? How important is the positioning of the pleats? What is the ideal position sleeve pleats? How to decide the position? Why the width of shirt front placket is important? What should be the ideal width? Or minimum width of a shirt placket? Does the narrow width create a problem like gaping? What is the correct position of diamond placket in the sleeve? Should be at the centre of half fold? Or off-centre? The orientation of buttonhole at collar band; can be parallel to edges or at an angle? What are the comparative advantages/disadvantages of two types? Is there any third type? The side seam width used is the maximum quarter inch or less. What should be the correct width of the side seam? Shirt yoke with centre back joint can be two types; either maintain the same grain line as one piece or shoulder joint parallel to grain like. Which one is technically correct? What are the comparative adv & dis adv for both types? While sewing pocket at left front, where do you start sewing? From placket side? (here operator need to rotate the component clockwise while sewing) Or from armhole side? (here operator need to rotate the component anti-clockwise while sewing). Which is the technically correct option and why? What is the advantage and disadvantages of these two options? In the third panel discussion, I come to know about some points on - why Indian manufacturers not getting orders from the world’s top shirt brands? 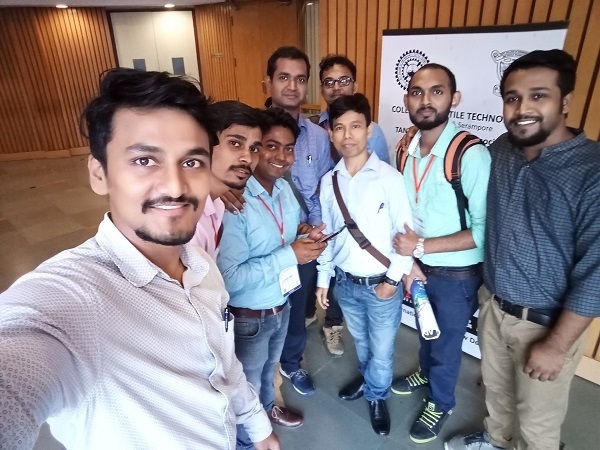 Gaurav Kumar, Director Marketing at Aquarelle, Pallab Banerjee, Strategic Advisor, Pearl Global Industries, Roopak Malik, Director of Textile Sourcing Limited and Mridul Dasgupta, General manager, Macy's Merchandising Group took part in this panel discussion. The four panelists shared their views on India’s strengths and weakness in handling shirt orders from global brands. They also pointed out the short-term goal of the family-run businesses in India. There were two presentations on the latest development on fusing machines. 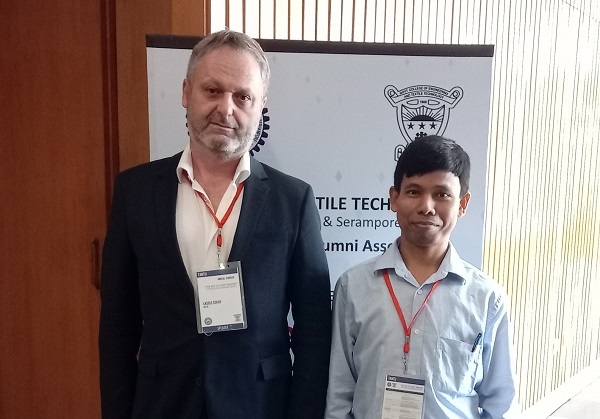 Martin group and Veit-Ramsons presented their technology solution that helps in improving quality and productivity in fusing shirt components as well as other product component fusing. 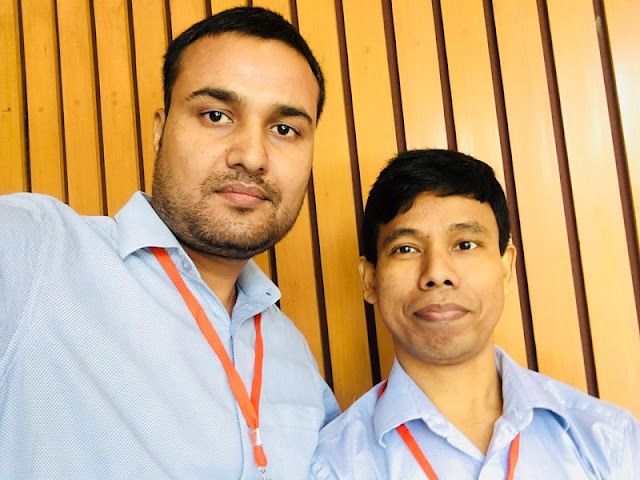 Tukatech Founder, Ram Sareen explained the importance of digital sampling in the custom-made apparel business in reducing the sample development time. Additionally, he shared how new businesses are eliminating physical sample development by taking help of the digital solutions. At the same time increasing the bottom line in the business. Laszlo Szabo, from timeSSD, Romania presented his PMTS system. I was also part of the seminar organizing team for this seminar program. It was a good experience talking to speakers and presenters from well-known apparel manufacturers, technology solution providers and apparel brands. Additionally, I was an editorial team member of the annual journal that we published in this event. I get a chance to meet some fans and followers of my blog, students from a couple of institutes and faculty members. I meet speakers from the different part of the world including Bangladesh, Indonesia, and Romania. Here I have shared some pictures captured on the seminar day. Share your thoughts on the above questions on shirt making. Else pass these questions to others. Know the insights of the shirt making. Learn about why we use the existing method of shirt making. Is there any alternatives?